The transformations I explore in the book have meant substantial changes in the distribution of power and autonomy among citizens and the state. State-imposed de facto divorce accomplished by protection orders, for example, matters not merely because it disrupts inherited conceptions of privacy, but because it essentially shifts decisional power from individual women to state actors, such as prosecutors and police officers. The contemporary rise of castle doctrine laws authorizing the use of deadly force against home intruders does not only unsettle our vision of the government’s role in keeping the peace. It actually devolves some of the state’s monopoly on legitimate force to private actors whose actions are legally redefined as self-defense. 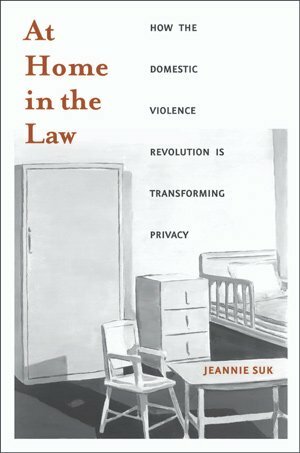 The construction of certain homes as abusive and therefore not entitled to constitutional privacy protections does not just destabilize the ideal of home as universal. It effectively produces a legal regime in which home privacy provides a screen through which the state may assign citizens to different legal categories for different distributive purposes or results. Changes in what the home means to us redistribute the rights and responsibilities of home. These changes naturally disturb the conceptual boundary between public and private. The peculiarities that result are accompanied by the redistribution of wealth, power, and legal rights that characterizes the cycle of crisis and response. The period between 2001 and 2008—the legal moment that this book primarily seeks to understand—is distinctive for having captured the fruition of many earlier developments in a wealthy society where deep fears and ambivalences were focused on home and crime, and where transformative legal reforms were driven by these fears and ambivalences. What is to come will be shaped both by the legacy of this period and by events that are still too inchoate to understand fully.